North Lake Tahoe is known for its white winters and sizzling summers. But the renewing months of spring combine the best of both worlds. This year, bust out the vacation planners and check out the amazing highlights of North Lake Tahoe life in spring. Thanks to the El Niño storm, over 400 inches of snowfall is here to stay, making spring skiing a perfect option. Take off at downhill resorts like Sugar Bowl Resort in a location handpicked by Walt Disney himself or at the highest base in Tahoe, Mt. Rose Ski Tahoe Ski Area. Can’t handle the cold? No worries, the moderate spring weather is a perfect time to explore the ski resorts without having to bundle up too tightly. Check them out! Fun fact, the 12 North Lake Tahoe ski resorts in the same area is the highest concentration in all the U.S. There is a trail for riders of all skill levels at these resorts from the beginners on the bunny hills to seasoned vets on the thrilling black diamonds. Even more, the area has everything you could need like ski shops, dinning and more. – check out our top 5 winter activities here. 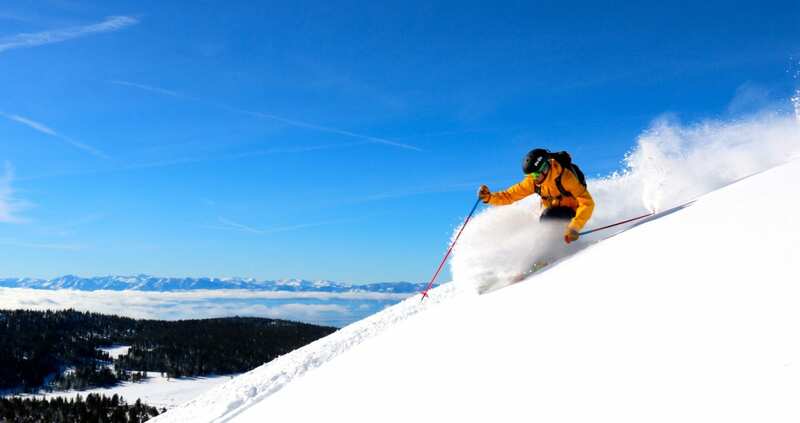 Many of the ski resorts offer great deals throughout spring. Everything from discounted lift tickets, free lessons and more are mainstays of North Lake Tahoe deals. Take advantage of the ever updating list of deals here. The best part about spring this year in North Lake Tahoe? 100% of the mountain-side and lake-side terrain is open to explore every nook and cranny of the mountain. Get out there and leave no snowcapped stone unturned or hiking trail unexplored. Don’t get overwhelmed, the detailed list of activities to do and how to do them is here. The post Spring Skiing is the Business appeared first on Go Tahoe North.